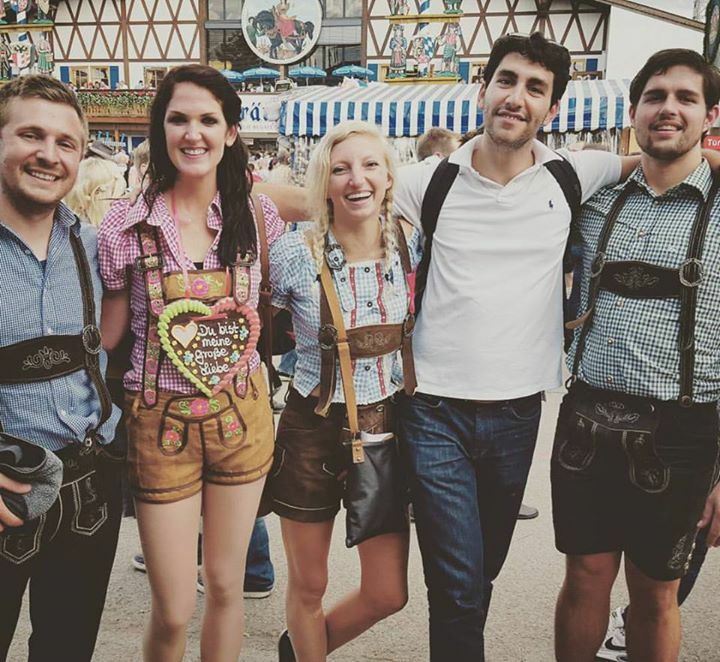 One of the main reasons for going to Europe was not just to eat endless amounts of chocolate in Switzerland, but also to attend Oktoberfest. I have heard so many amazing things from friends who have gone, so I just had to experience it for myself! 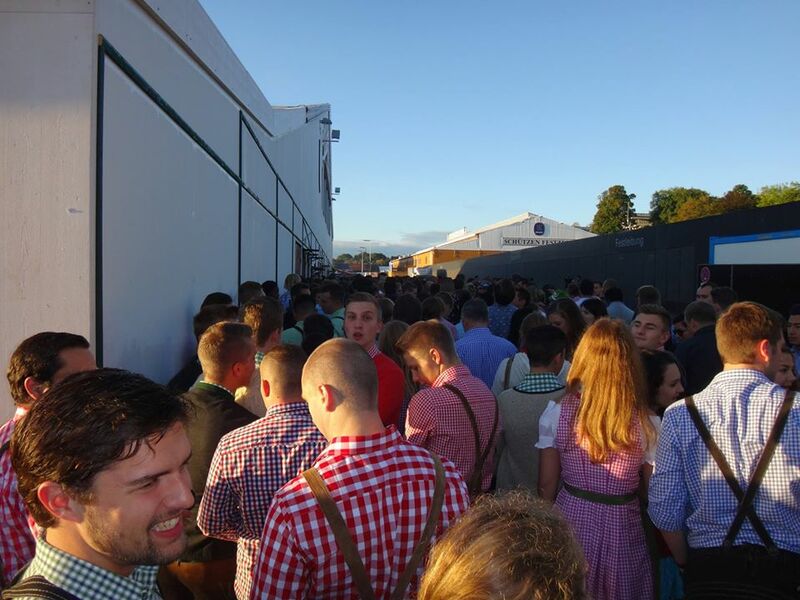 Below is a recap of my first Day at Oktoberfest – I will write about my second day in another post, there is just too much to write about! After waking up at the crack of dawn, the hostel employees were still up drinking.. They tried to convince me to stay another night, or at least for a drink (at 6 am)… I politely declined, as I had a train to catch! So, I was given a roadie and sent on my way. 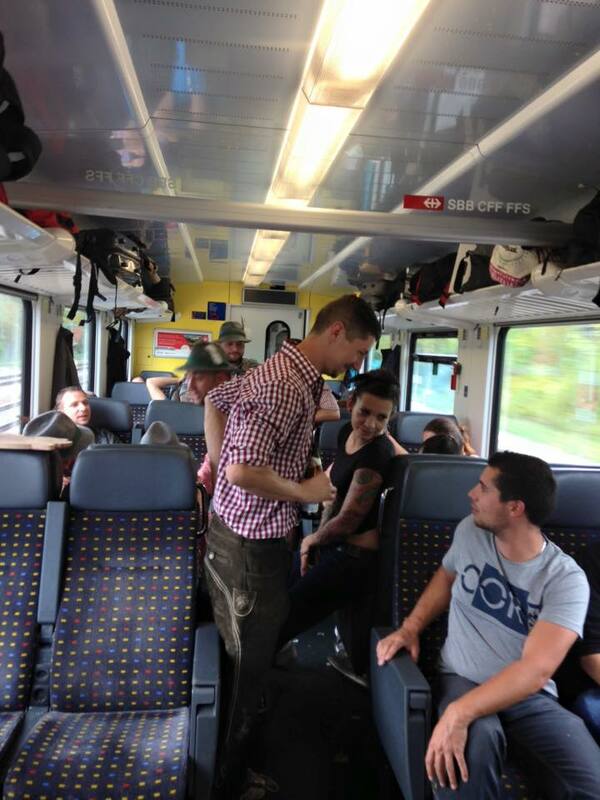 There were 2 connections on the trains, and I was lucky enough to find a couple headed to Munich – we worked together to figure out what trains to get on, although we were still running to catch our connections! After getting on the final train in Zurich, my train car was smoking because the heater was broken. I initially had planned to get some sleep and read a bit, but I couldn’t stand the smell. So, I decided to switch cars… and I am so glad I did! 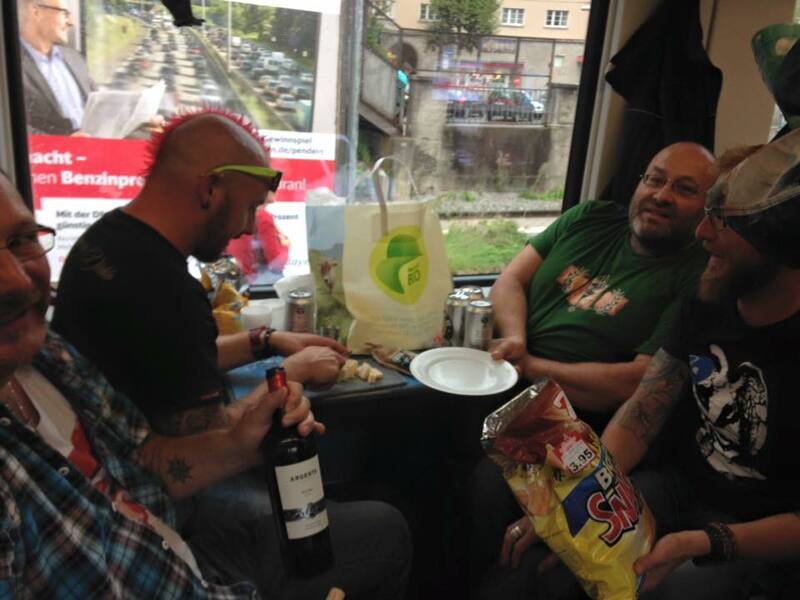 I ended up on the “party” train and met some awesome new friends. I can’t believe I even tried to be a hermit and sleep the entire way… There was always some sort of excitement to get caught up in! 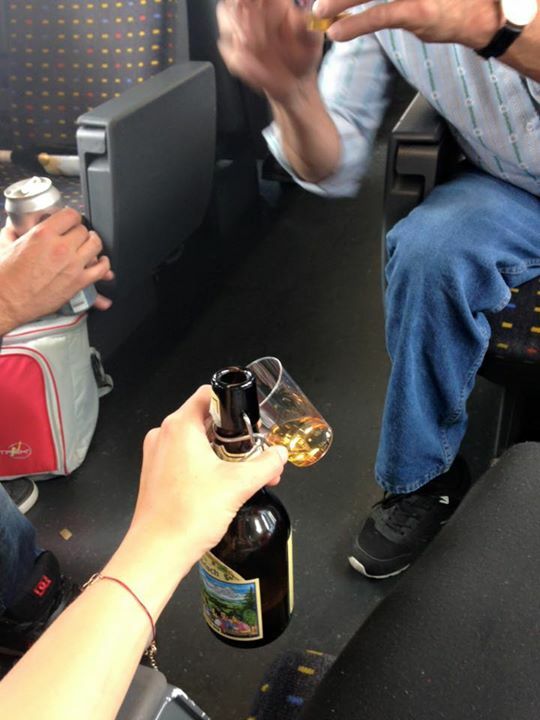 The Swiss are very, very friendly people. As soon as I sat down, I was given a beer and food. Most didn’t speak English too well, but luckily there was someone from Chicago on the train. Sometimes it is just nice to be able to speak to someone that can understand you! From 10-1:30 pm, I drank, ate, and made new friends. After arriving at the Munich train station, I walked across the street to my hostel and checked in. I got settled into my room full of bunk beds, and headed out to find my outfit for Oktoberfest! After wandering around Munich and going into a few shops, I finally found my Lederhosen outfit. I opted out of wearing a dress because, well, I hate how they look. 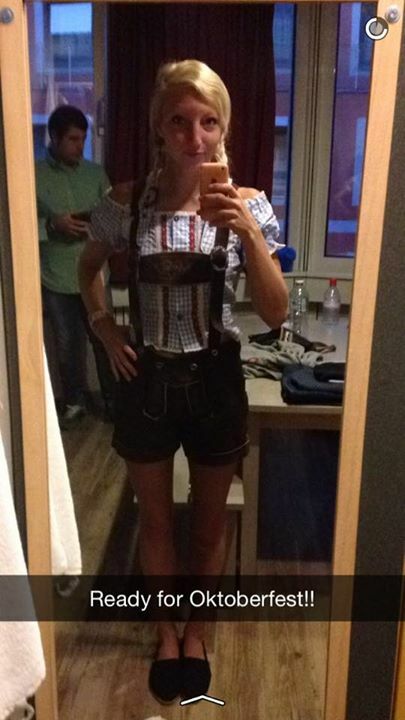 I don’t think they are cute… lederhosen, however… shorts with pockets, can’t go wrong with that! 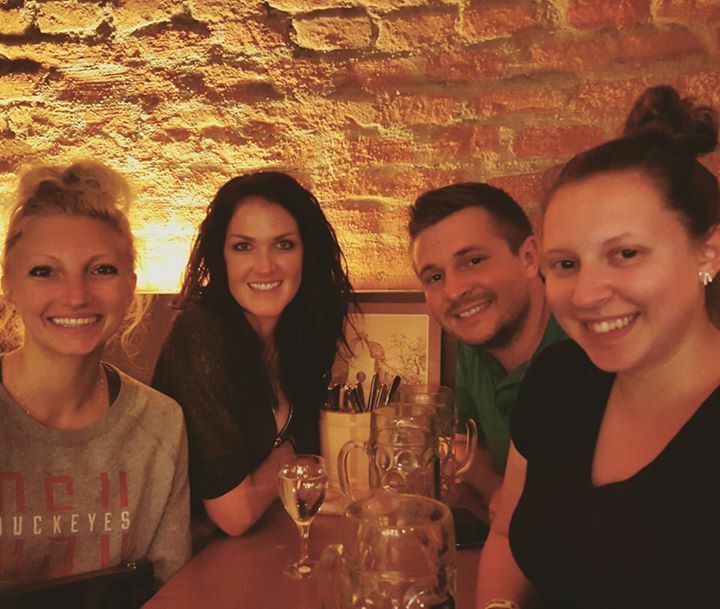 Fast forward to dinner – remember those Ohion’s I met back in France? 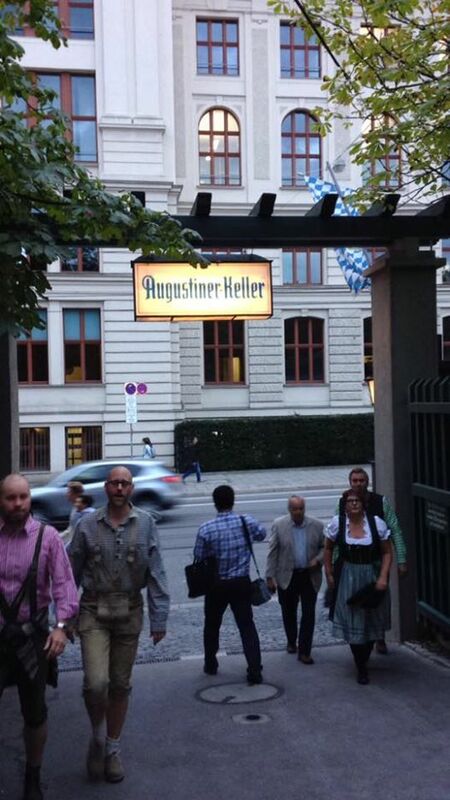 They were in Munich for Oktoberfest as well, so we met up at Augustiner Keller for dinner. 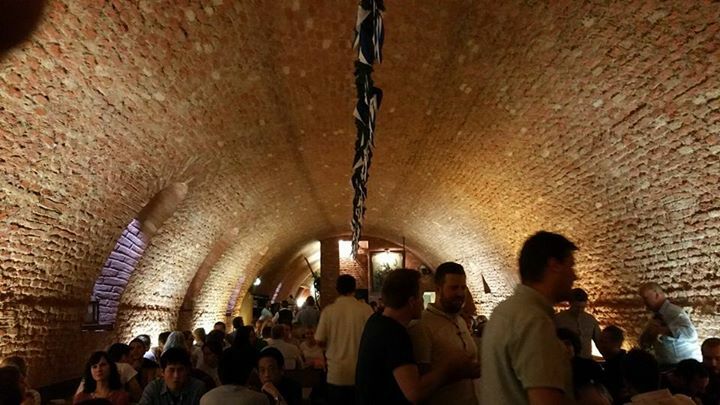 The beer garden was huge, and the basement was even bigger! I highly recommend stopping here for a bite if you are in the area. 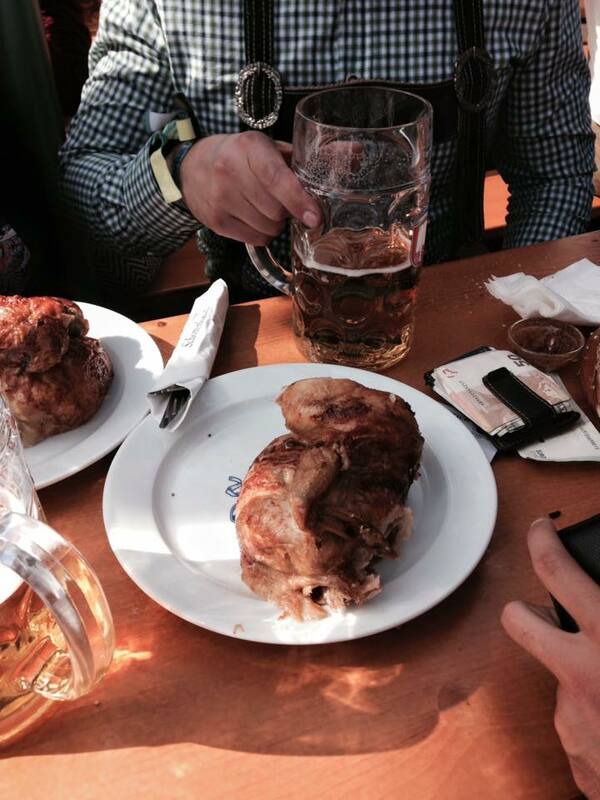 After 1/2 liter of beer + a belly full of pretzels, sausages, potatoes and eggs, I was ready for bed! 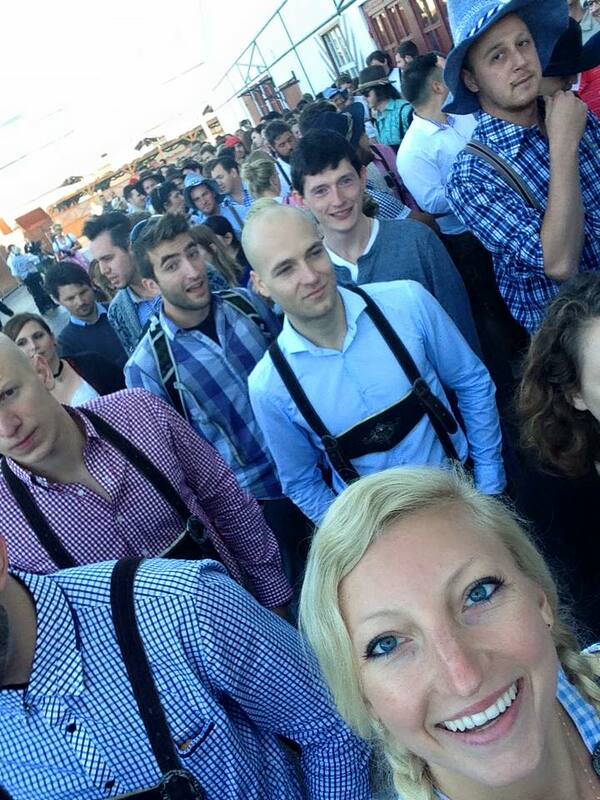 The following morning, we all met back up at 7 am for the first day of Oktoberfest! 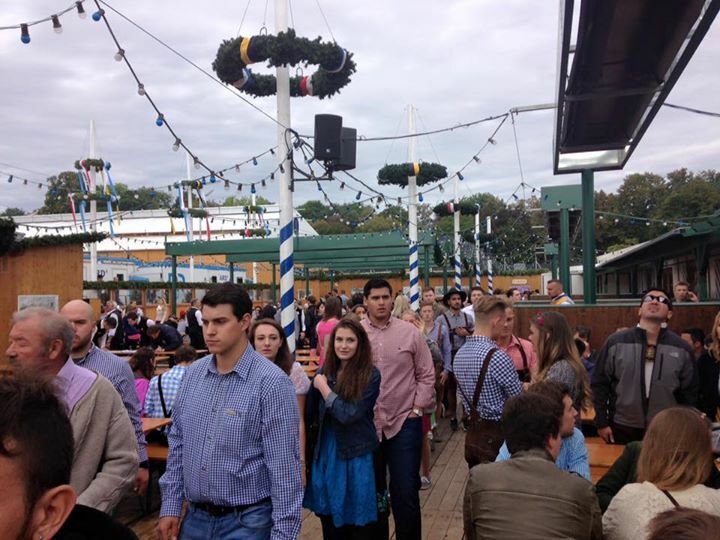 We waited in line for over 2 hours at the Schottenhamel tent (most well known for where the first keg is tapped + all politicians/celebrities are at) until finally, we made it to the Beer Garden. It was FREEZING, and PACKED, but luckily there were heaters over top of the tables. We ordered food, which took forever – pretzels and half chickens – and we sipped on sparkling water while we waited for the festivities to start. 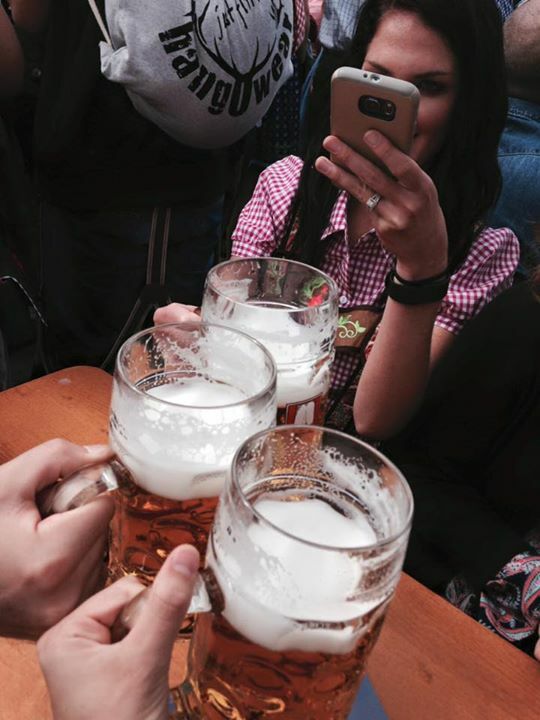 The first keg was tapped, and we finally got our first liter of beer around 12:30 pm – well worth the wait! Everyone was getting a bit impatient – it was hard to wait 5.5 hours for a beer, but all was forgotten once we started drinking. The tent was packed, and we ended up staying until 3:30 pm – there was no way we were getting into the tent (some people bribed to get in, and the bouncers were not very nice! ), so we headed off to the Armbrustschützenzelt tent to see if we could actually get inside (it had amazing reviews based on what I researched beforehand). Luckily, we were able to get inside AND find a table, all while meeting new German friends. 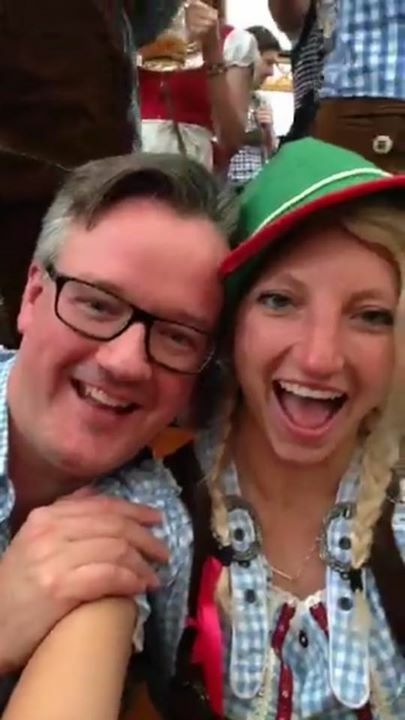 Unfortunately, getting the table meant accidentally chugging an entire liter of beer on my part, so this is where things started to get a bit hazy… but absolutely entertaining. Everyone was so friendly and we ended up having an absolute blast! Around 7-7:30, I headed back home – catching a cab, because there was no way I could maneuver my way back to the hostel! I had only been drinking beer since noon, so I was hungry – luckily my hostel had a restaurant, and I ended up ordering 3 plates of food… much needed after drinking 4-5 liters of beer! I also made some new Australian friends, and I hung out and ate with them until around 10-11. 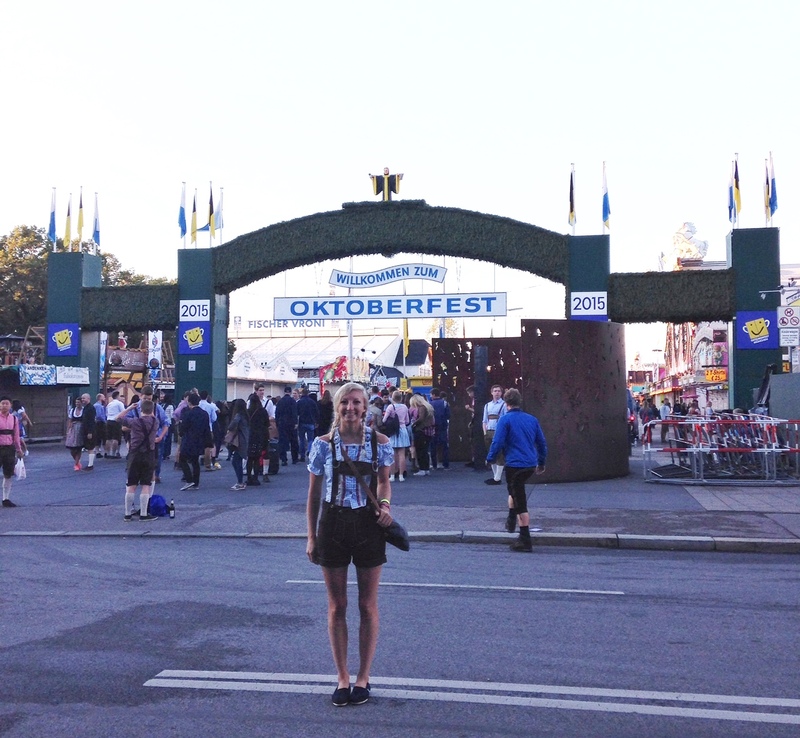 Overall, my first day at Oktoberfest was a blast! I met amazing, interesting people and drank lots of GOOD beer! 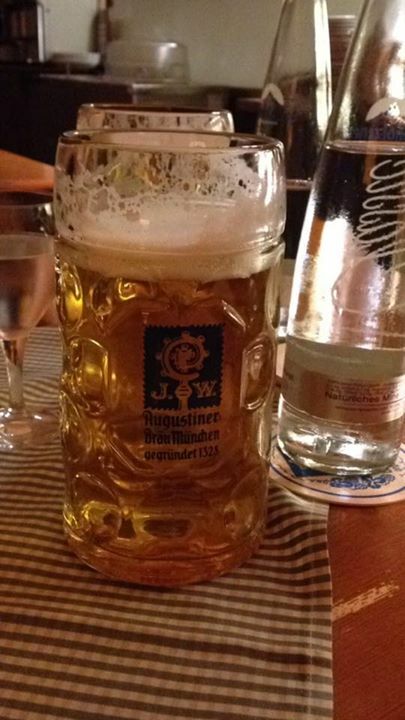 I am not a beer lover, but German beer has converted me. 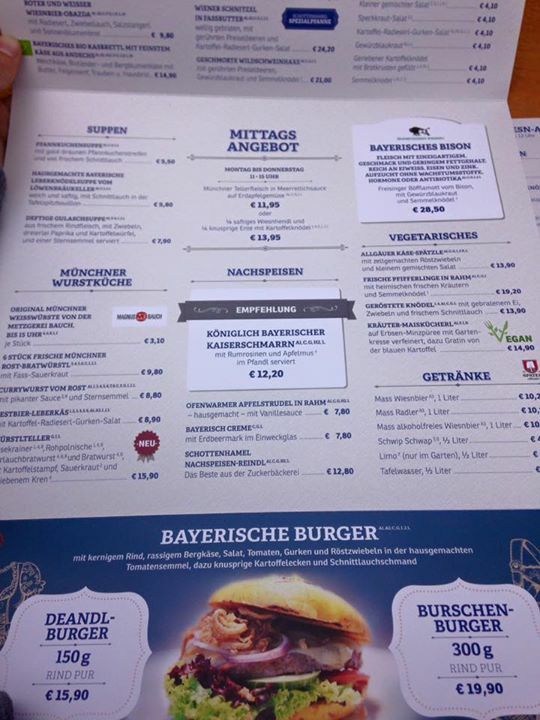 And the food… I thought German food was gross… until I ate my way through Munich. Besides sauerkraut, everything I ate was amazing. 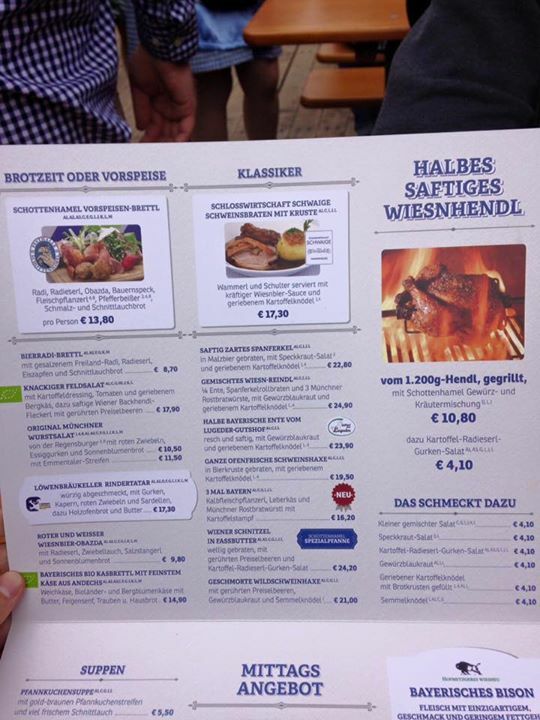 Potatoes, pretzels, sausages, cheese…. I could live on that and be a very fat, happy woman. 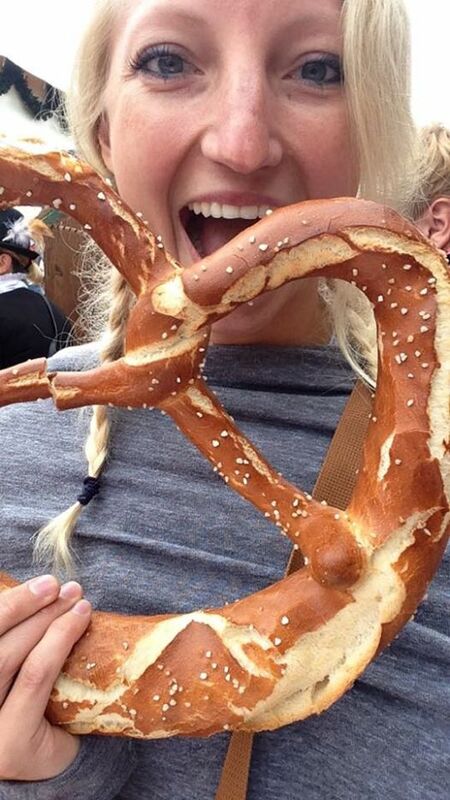 If you are headed to Oktoberfest, make sure you order the half chicken and eat unlimited amounts of pretzels… it makes the experience that much better! 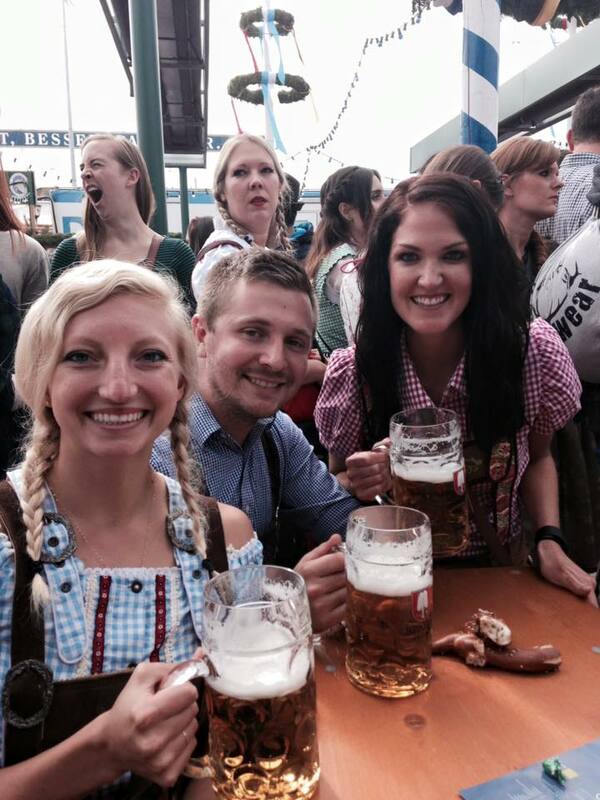 So after an entire day of Oktoberfest, I wasn’t sure if I was up for another day.. 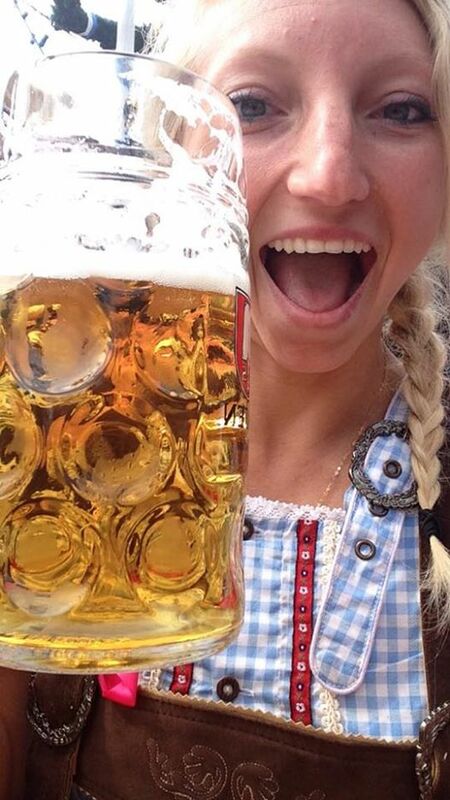 However, traveling solo with an open mind means you never know what will happen next… with that being said, stay tuned for Oktoberfest Part 2, as well another post on what I did (besides drink ;)) in Munich! 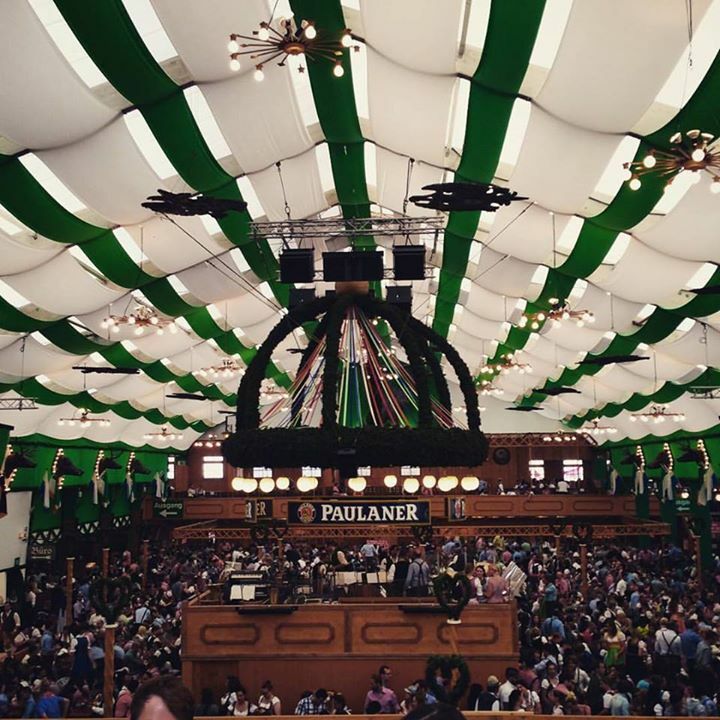 Has anyone ever been to Oktoberfest in Munich? If so, what tents did you like the most, and what was your favorite part about it? I would love to hear about your experiences! I’m planning to go next year and this post makes me so excited! I love your outfit!! Oh this makes me laugh and want to go! You sound like you had the time of your life. I LOVE traveling and meeting/hanging out with strangers. 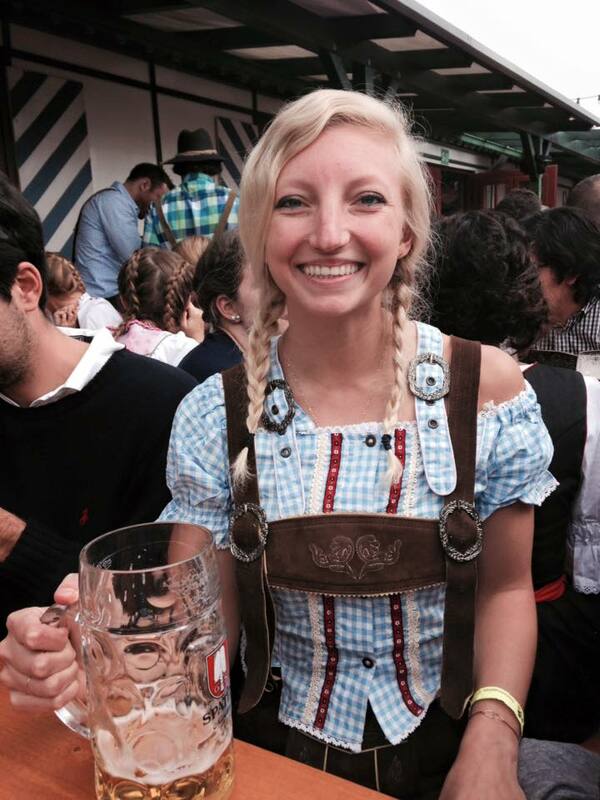 I’m not a beer girl either, but I’m adding your trip to my bucket list! It all sounds so exciting and spontaneous! 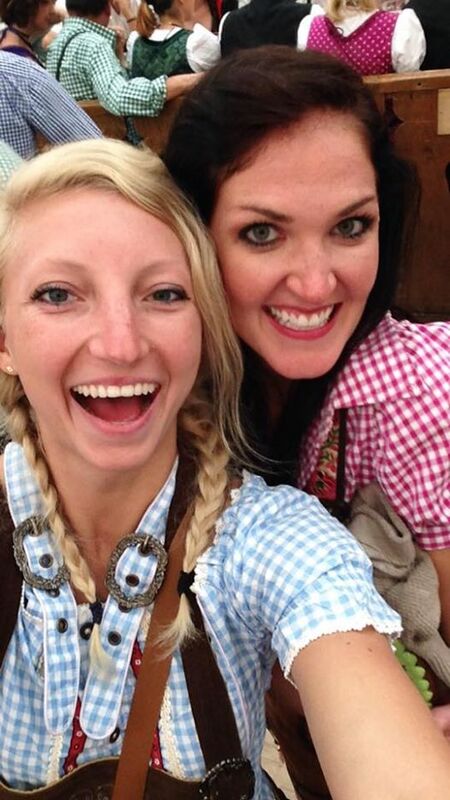 So fun – I’m headed to Oktoberfest next week! What I really want to know is: can I do yoga anywhere in Munich?! Haha I Googled ‘yoga oktoberfest’ and your post came up! My practice is new so I hope to keep it up on my trip! Yes! There are a lot of places to do yoga in Munich… I never took a class since I was drinking most of the time I was there LOL buuut I checked and urbanyogamunich is nearby the festival! Check out yogabee as well. Ahhh you are going to have so much fun!! Sign up for the latest updates on workshops, yoga classes, and blog posts! For more information on starting out as a new yoga teacher, learning cues for poses, how to put together classes, and tips for teaching classes, check out A Simple Guide For New Yoga Teachers!